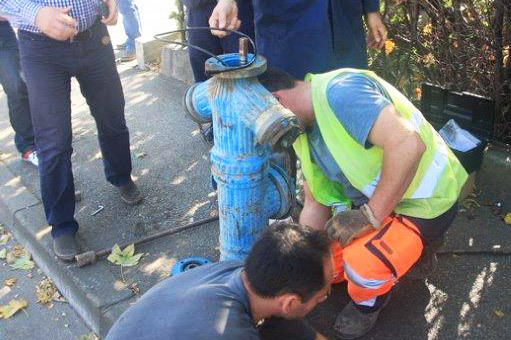 First installation of telemetric hydrant was performed on 29th October 2013 in Zagorska ulica in Zagreb. 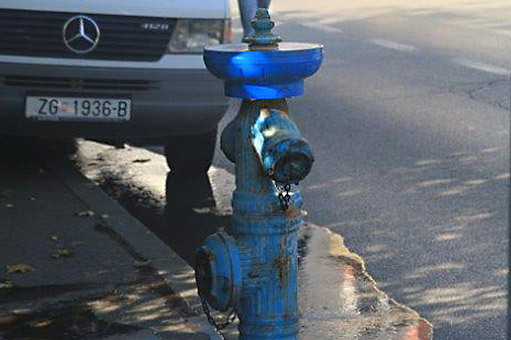 Upgrade was performed on the already existing hydrant which was built in 1997. 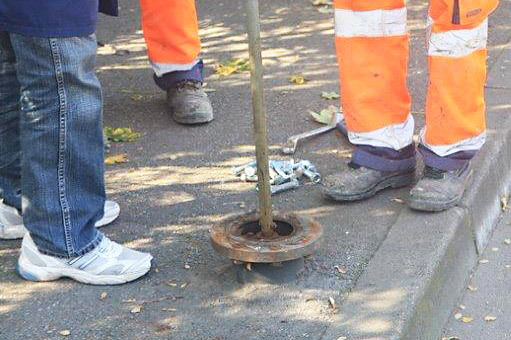 It is a unique innovation which allows each overground hydrant to become a measuring place. 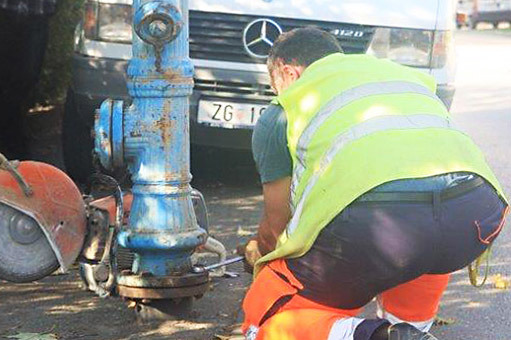 Pictures (2-10) show the sequence of activities of modernizing the old, unattended hydrant and converting it into a measuring point for measuring pressure in the farthest point of DMA zone Voltino. 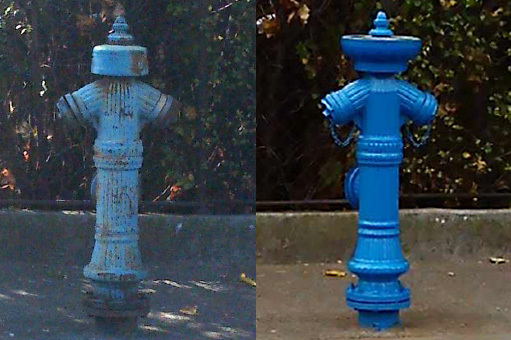 Picture 1 shows the hydrant before and after the TH upgrade and restoration. Telemetric hydrant represents the extension to the overground hydrant with which it completes a unique unit. 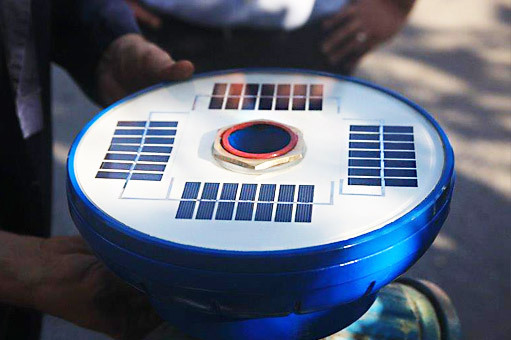 This innovation enables installing of measuring places in an easy and convenient way, as well as collecting numerous data on the condition of water supply network and water quality control. Telemetric hydrant is composed of water supply hydrant housing, sensor, battery, photovoltaic cells and other elements which enable communication and monitoring. 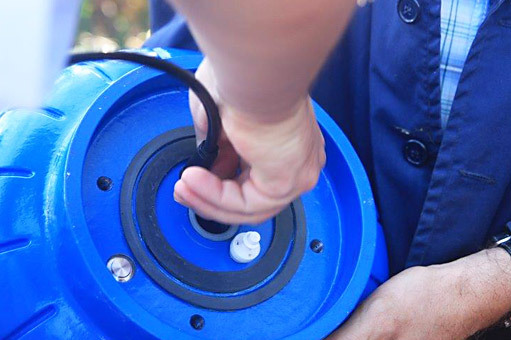 Apart from its function to collect water, the telemetric hydrant is also an energy-independent device for detection of measured quantities, such as pressure, temperature, water quality, detection of opening, etc., to the centre for controlling and monitoring the water supply system. Water supply pipelines are indented structure which basic purpose is water distribution from water wells to the end user. 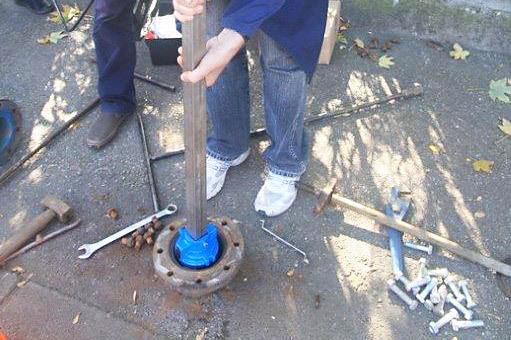 In water distribution through pipelines there is a common need for monitoring of the pressure, flow, temperature and water quality in all parts of the supply system. Hydrants provide water for firefighting, street washing, watering the public green spaces, technical irrigation of the water supply network and water tanks cleaning, rinsing and cooling of energy systems, water sampling for water safety control (sampling). They used to be constructed on pipelines as underground hydrants, but today they are exclusively constructed as overground hydrants. Urban water supply systems are giving the increasing importance to measuring and activities intended to reduce losses to an acceptable level. Apart from water losses, in the water supply system it is even more important to monitor the quality of drinking water at wells, after the conditioning process and disinfection, in water tanks and distribution network at specific locations. Usage of the telemetric hydrant mostly relates to fire hydrants installed in the water supply network, industrial plants, refineries, power plants, chemical industry, waste disposal sites, irrigation system, etc. Along with their basic function of enabling the water supply for firefighting purposes, they enable measuring, collecting, processing and transferring data to the center for monitoring and managing the water supply system. 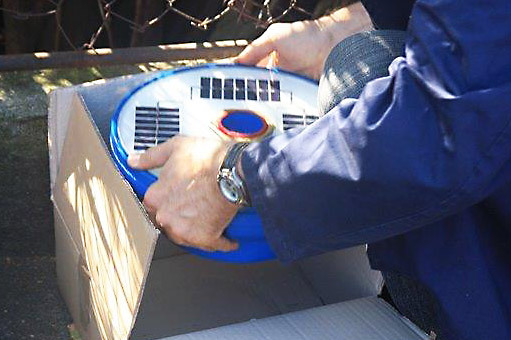 An important feature of this invention is that the collection and submission of data is enabled without power connection, using the independent battery system or batteries that are recharged by photovoltaic cells. 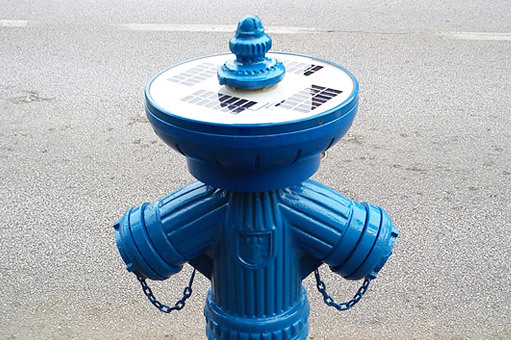 The hydrant housing can easily be mounted on the existing hydrant network, that is on the existing hydrants of various manufacturers. Usage of the telemetric hydrant provides significant progress in quality monitoring which directly affects lowering the costs of managing and maintenance. 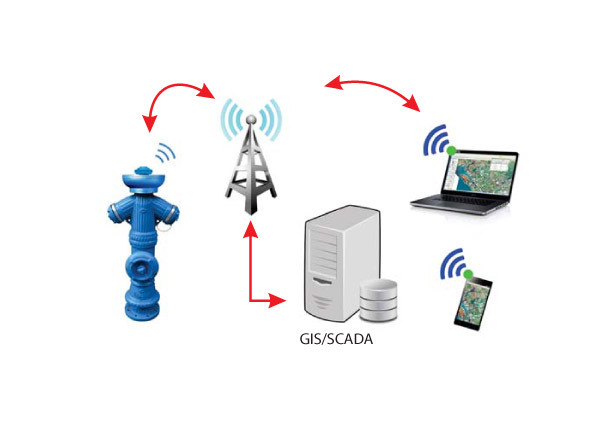 Continuous monitoring, collecting and transferring data to SCADA or GIS is enabled via custom developed applications while pointing out geo-referenced locations and frequent recurrence of alarming conditions.